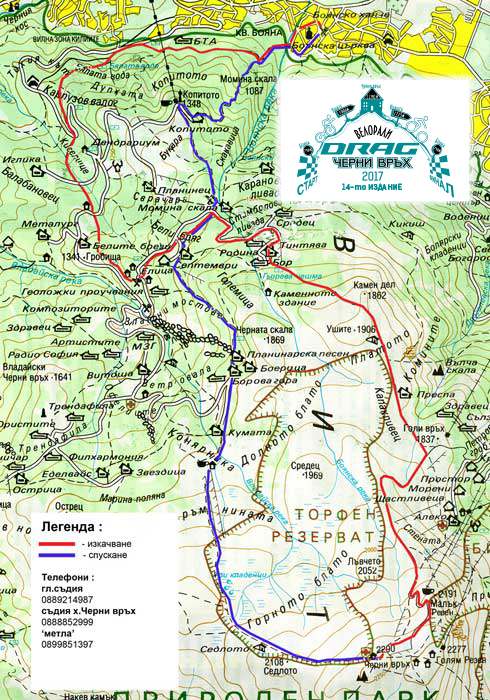 Participate in the 14th edition of Velo Rally “Cherni Vruh” and faced the challenge of climbing the highest peak of Vitosha Mountain and then dropping it back. The fee is payable at DragZone store, Blvd. Blvd. 7A to 19.10.2017. Mountain insurance can be paid in the store – 3 leva. 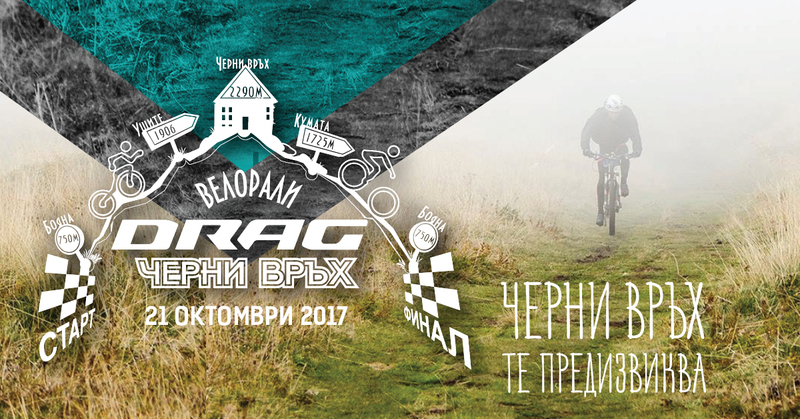 The competition will be held on 21.10.2017, Saturday. 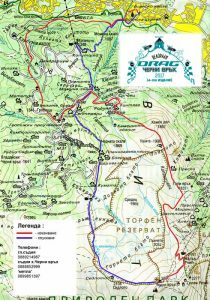 The competition will be conducted in accordance with the rules of the International Cycling Mountain Bike Association. Insurance is a must. The competitor has to finish with the bike with which he starts! – Women under 16, born 01.01.2001 г. – 31.12.2004 г. – Women, born before 31.12.1998г. – Girls born 01.01.1999 г. – 31.12.2000 г. – Junior Cadets born 01.01.2003 г. – 31.12.2004 г. – Youths born 01.01.2001 г. – 31.12.2002 г. – Senior Cadets born 01.01.1999 г. – 31.12.2000 г. – U23, born 01.01.1994 г. – 31.12.1998 г. – Men born before 31.12.1993 г. – Veterans 41-55 , born 01.01.1962 г. – 31.12.1976 г. – Veterans 56+ , born before 31.12.1961 г.